I got a huge .psd file from a designer. My goal is to save parts of it as transparent .png images and embed them into my web page. The odd thing is that most people cannot see my PNGs. JPEGs are visible, but I need to keep the image background transparent so I'm not using jpegs. 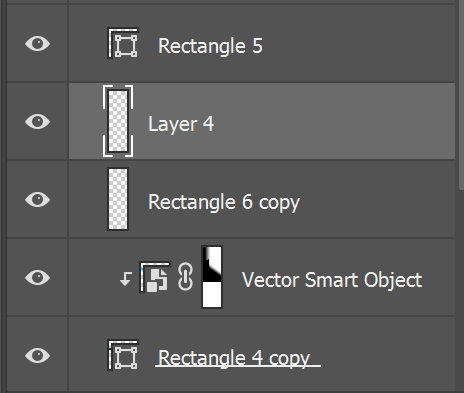 Are vector objects messing up my pngs? I have tried all possible setting in Photoshop, including the legacy Save for the Web. The pngs are not showing up in my browser but I see them on my computer through Image Viewer(Windows). Most people say they can't see my pngs either. What is going on? My .psd file is huge. I have no idea what the designer used to create it (AI?). 50MB is "huge"?? Times sure have changed. There's nothing wrong with that file. The raster-based quality of that layer is a bit questionable, but the layer exports fine. (Note that the image quality of the above images matches the original file, it didn't degrade upon export/save for web). If people "can't see your png" you are going to need to ask them what that means. For example at your link.... http://3dp-site.alexbelinsky.com/img-test.html the HTML loads fine and shows the image, but there's also a broken image which fails to appear --> http://3dp-site.alexbelinsky.com/thermateur-mobile.png You may be viewing a cached result or have permissions the rest of the world does not have. This could be a permissions issue with the server and the image file itself completely unrelated to Photoshop. Not the answer you're looking for? Browse other questions tagged adobe-photoshop png or ask your own question. What's the point of converting RGB images to CMYK TIF/TIFF before placing them in InDesign? PDF artwork for large posters - filesize issues? Why do some, but not all, PNG files (with transparency) in InDesign documents have black borders?